Science can be difficult, but it doesn't have to be! Let our expert science tutors here at Total Tutoring Services help you gain a better understanding and improve your grade! 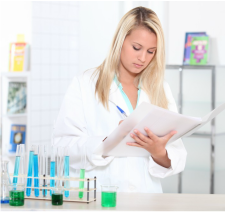 Whether you need help with basic science concepts in elementary or middle school, more advanced high school science courses, we can help your student improve their grades and confidence! Our tutors are available seven days a week to travel to your home for personalized 1-on-1 lessons. We work collaboratively with your child's teacher and provide you with a progress report after each session detailing progress that was made and areas that still need to be addressed.